Elmer's has just launched a new campaign, Bag It Forward, to encourage shoppers to "pay it forward" as they start this year's back to school shopping. 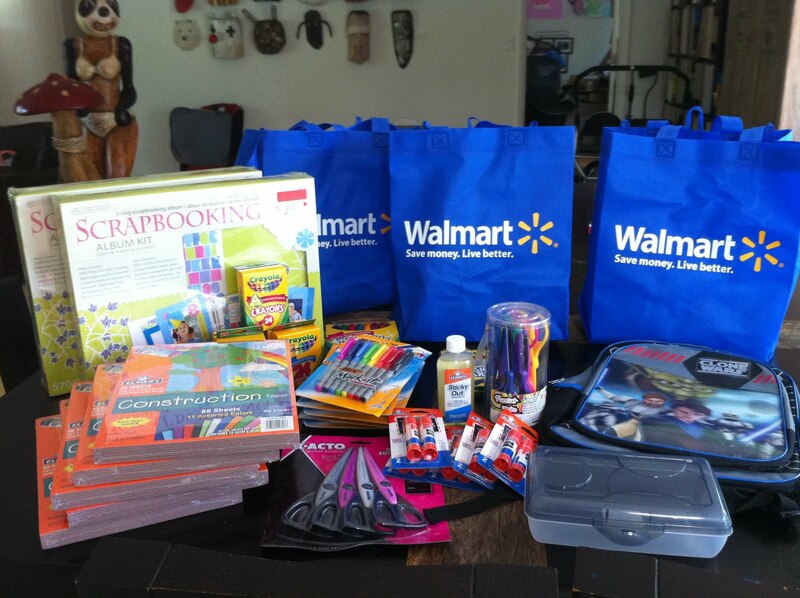 The idea is that everyone can add a couple of extra school supplies to their list and donate them to a needy student or underfunded classroom. I am very proud to have been selected as one the five blogger ambassadors to launch the Bag It Forward project and spread the word about how easy it can be to help others right in your own community– sometimes in your own schools. The bags I created for Parents As Teachers. Please take the time to check out the Bag It Forward site for updates throughout the campaign, with fun tips and tutorials for back to school and ways that you can participate. I was pretty impressed with how much you can stuff into a backpack for how little. Just think about how much of an impact we could have! Congrats! That's an awesome program and I just picked up a bunch of extra supplies yesterday for seriously like 20 cents each to help out. I need to drop off my bags, but otherwise my shopping is done. This was such a fun program to participate in.